All-Natural, 100% Grass-Fed! Non-Gmo, Gluten & Soy Free Protein! 25 Grams Of Protein Per Scoop With 100mg! 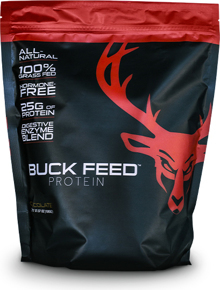 Buck Feed, is the newest innovation from Bucked Up, the next step in the post workout and training nutrition. Recovery and nutrition are arguably the most important aspects of: body composition, breaking plateaus and tangible results. 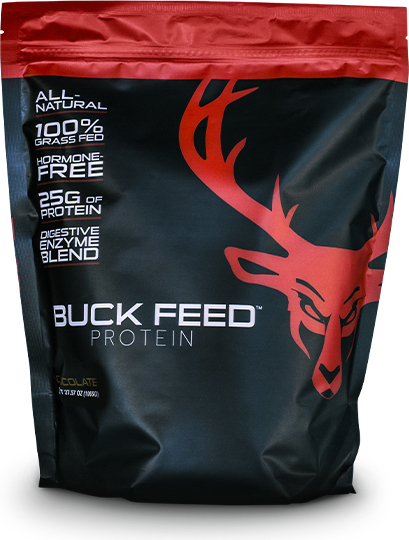 Incorporate Buck Feed into your training regiment for enhanced results. Loaded with 25g of all-natural, grass-fed, hormone free protein. A precise enzyme blend for uptake and digestion and absolutely no artificial colors, sweeteners or added sugar.